You must make reservations at least 5 minutes in advance of the time at Bodrum Bistro. Homestyle fresh and cooking for daily, healthy and testy. Cabernet Sauvignon, Merlot and Syrah blended with okuzgozu (oh-kooz-go-zoo) and Bogazkere (bo-oz-care-ay). A senstation of bright fruits and spice make this a perfect balance of East and West. Kind of like Turkey! Named for Gallipoli where the vineyards are, Gali is a premium offering from a premium place. Planted exclusively to Cabernet Sauvignon, Merlot and Cabernet Franc, the vineyard is in the region of Thrace. Mostly Merlot with a touch of Cabernet Franc. Drink this if you love Bordeaux or are afraid of Turkish grapes! The food at Bodrum Bistrot is wonderful. Unfortunately, the noise level on a busy evening is terrible. It is not possible to easily converse with people at your own table. It was a relief to leave as early as possible. We had planned on desert and leisurely coffee but two of our party of four could no longer stand the noise so we left and ended our evening with a conversation on the sidewalk. I wish this restaurant would invest in some ceiling or other materials to take down the noise level. We will not be coming back with these friends, even tho the food was excellent. Exceptional food, such a good value during Seattle Restaurant Week. My husband is a foodie and he rated the stuffed eggplant very highly. I enjoyed the meatballs, entirely unlike American meatballs. My waitress took extra care to be sure my meal was gluten free. She was lovely. it was noisy but they were busy. A fine meal-we will return. This is a small but well organized neighborhood restaurant. The food is great and there is a variety of choices for any pallet. They are attentive and receptive to diners wishes. Really nice ambiance and we will go again. This is a very charming place. Server was super helpful, even split a glass of wine to two glasses for us so we can each have our own wine glass (we didn’t want to drink too much). We ordered an appetizer combo plate which allowed for up to 4 choices of appetizers, and every one of them was delicious. I especially enjoyed it here because everything was delicately flavored instead of the heavy seasoning that can be found in too many restaurants. The restaurant is small and was filled up throughout the evening. It is good to see that they are doing well. I will definitely be back again to try all the other dishes. One of our favorite restaurants... Excellent, authentic Turkish food, and the owner is warm and delightful. Wonderful place. Wonderful food and great service. Can’t wait to go back. The food was absolutely delicious. We really enjoyed our waiter, Goody, who recommended fantastic dishes and was a great conversationalist about the culture in Turkey. We will be back!! The restaurant is a nice and cutely decorated Turkish restaurant. The waitstaff and owner are very accommodating and friendly. The food is impeccable and very tasty. The atmosphere gives you a wonderful Turkish experience. I was looking for a restaurant to eat, and when I was looking I found that they had the diners choice award!! 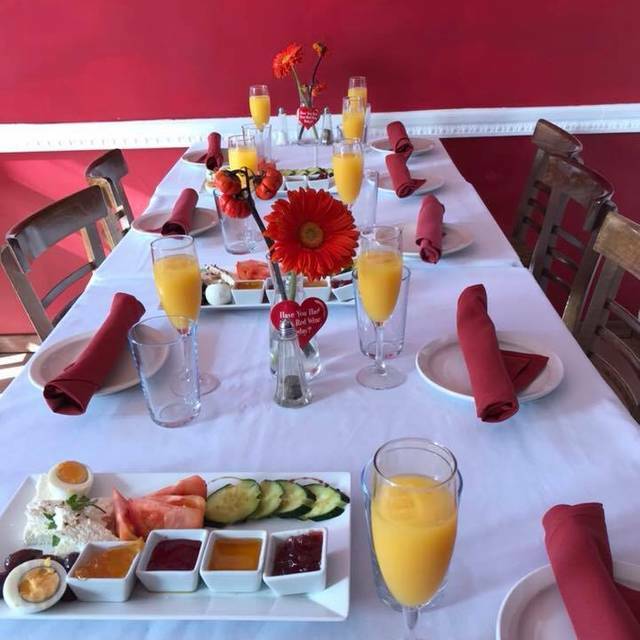 So I decided to check this place out, and I was so impressed by the friendliness, the welcome and attention I received by the owner and waitstaff. The owner even made me Turkish coffee and read my fortune!! I have to say, I never have found a better restaurant in my life. You will not be disappointed! Best stuffed grape leaves I've ever had, which is saying something cuz I don't really even like them until I tasted these. 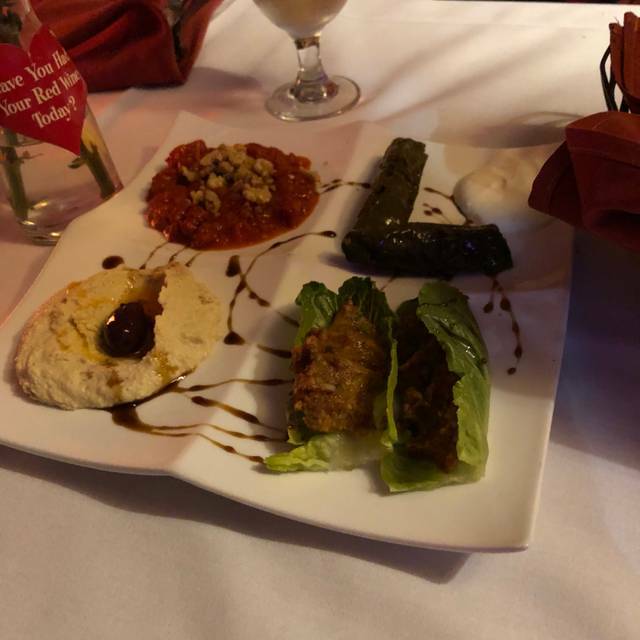 We also had the meza plate with hummus, carrots and yogurt (great), red pepper spread; then main course of lamb kabobs and the stuffed eggplant. Nice presentation too, attaching picture of eggplant but it's a bit dark. All was very good. Husband had rice pudding for dessert and it was excellent. Everything we had was spot-on for taste, waitress was very friendly. 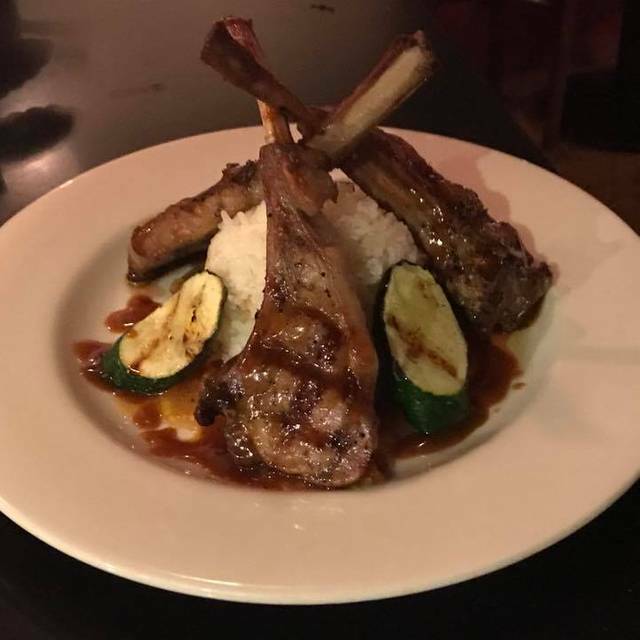 Portions are moderate which I like because I don't like to take food home and I don't like to overeat but I would suggest you order an appetizer plus a main. Prices matched perfectly--- under $10 for appetizers and $15-18 for main dishes. Great food and service. I will going back again. We were there yesterday, it was awesome. We had such an amazing experience. We got a meze platter to start. We had cheese pastry, stuffed grape leaves, lentil patties and humus. Loved each of them. Then we got Iskender Kebab which is weekend special and Dumplings. I tried Turkish food before but these dishes were just wonderful. The server who is friendly and hospitable guy recommended us to drink Turkish traditional alcohol, they call it Raki. That was really sth different, you def should try that. Owner took care of us so much, she is energetic and she wants to make sure that everyone feels well there. And then we ate the most delicious pistachio Turkish Baklava we’ve ever eaten. You have to try that one as well. I highly recommend you to visit there and enjoy your time. 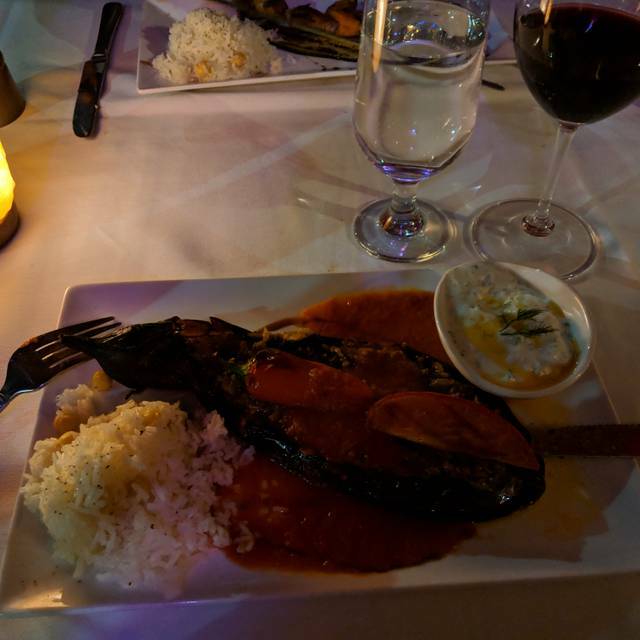 I've traveled in Turkey and this is the most authentic and flavorful Turkish food I've found in Seattle. This place is a real gem. You can follow them on Instagram (@bodrum.bistro) to track specials. 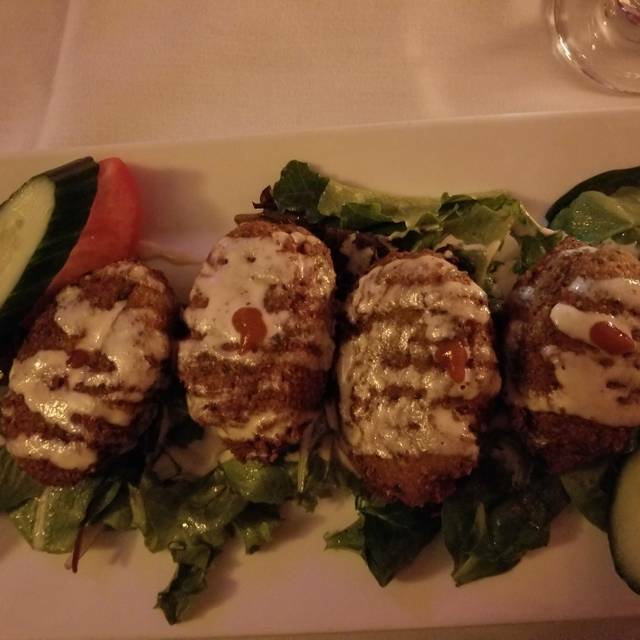 We picked Bodrum Bistro on a whim - it was close to the show location and had an open spot for 6 - and were pleasantly surprised. Appetizer plates were small portions but perfect for sharing, my wife appreciated the many Veggie options, my dumplings were delicious, and the Baklava was delicious. Highly recommended for a Wallingford visit. 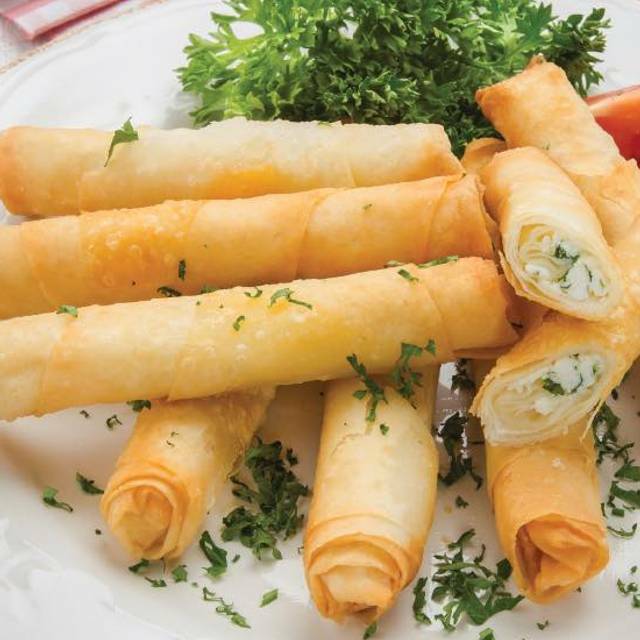 We love food from Turkey but it has been difficult to find one in greater Seattle area. It was good but nothing like what we ate in Vancouver, Canada or in England. This is the best Mediterranean food I've ever eaten. The falafels were very moist and delicious. I highly recommend them. The mezze platter was phenomenal. I'm thrilled we found this place. We visited Bodeen Bistro during Seattle Redturant Week. The special menu of three courses was great as well as their regular menu. The chicken in phyllo dough was excellent and really enjoyed. The option to choose four selections for an appetizer platter was great in that multiple options could be tried - all delcious. The olive appetizer provided a genourous portion. The Shepherd Salad was tasty, but I would have preferred it served in a bowl rather than romaine leaves and it seemed to need a little extra flavor. Being able to order the house red in a half carafe helped keep our overall evening a little easier on the pocketbook. Service was wonderful. Everything we ate was delicious! Loved the way they played with hints of sweet in their savory dishes. The owner also turned up the heat when she noticed me putting on my coat, which was very considerate. I could totally be a vegetarian with food like this! Really fabulous food! The appetizer platter could have been a full dinner, so many wonderful flavors. And our waitress was a gem. We really enjoyed this restaurant. It's very small, but doesn't feel squished. The woman greeted us warmly and we felt instantly comfortable there. My father, who lived in Turkey for a couple of years, thought the food was very authentic. We will definitely come back to this restaurant. Overall great experience. I could tell they were extremely busy when we walked in the door. Took us over 15 mins to get water but after that service went really smoothly. Food was delicious! I had the MEZE platter and Stuffed Eggplant whereas my date had the MEZE platter and phyllo dough wrapped chicken which was amazing. Turkish house wine was different but easy to drink. Loved all of the flavors and would high recommend! Great food and service. Highly recommended for dinner with friends or a date night. We recently met friends for dinner at Bodrum Bistro. The restaurant is quite small and we were originally seated next to the door, which wasn't optional as it was cold outside and the door literally opens onto the table. However, we were reseated very quickly upon request. The food quality and quantity was extremely good. We felt we received great value for the price. The service was attentive and the house red wine was excellent. One of our party is a vegetarian and there were several options. The only down side was the noise level was very high which made it difficult to have a conversation. I had passed this restaurant by a number of times but finally stopped in for dinner and am glad we did. The food was very good...we had a meze small plate quartet and two entrees, all of which were tasty. The wines from Turkey were excellent...we're glad we tried them. I'm not sure I'd want to dine here when its busy because there was only one very busy chef and one waitperson who handled the room; maybe because it was a Thursday, but I sense that it is small and familial restaurant so if you are in a hurry you might want to go elsewhere, otherwise enjoy! We really like Cafe Bodrum. The food is wonderful and they redecorating makes the restaurant much more attractive. However, the level of noise is terrible. We finally left early because we wanted to talk with our friends and it was too noisy. It would be lovely if some of the redecorating could include some sound-proofing. First time ever dining here, and the service and food was fantastic. Our waiter had excellent recommendations and knowledge about all the food and wine options. Additionally, one of the owners helped me identify the cool music that they were playing and we had a really nice chat about the cuisine and Turkish culture. Definitely bringing my friends and family here again soon! Portions were small and prices were high. Very skimpy on pita with appetizer/mezze platter. Two of the four of us ordered the specials available only on weekends: very mediocre. The best dish was the chicken wrapped in phyllo (Tavuk). Excellent food, we had a fantastic meal sitting at the bar in the back watching the chef work. Highly recommend! Love the food here- the zucchini fritters are amazing. Service is friendly. Positively, the BEST meal, I have EVER had in Seattle. So, glad we finally found it! Mixed bag, decent service, fresh ingredients. Some dishes were top notch, others were so so. Many of the appetizers and the deserts were excellent, but the main courses were a mixed bag. The mantı, a Turkish variant of dumplings was quite good. Great food! The grape leaves, lentil patties and red pepper spread were some of the best we've ever had as were the beef dumplings. The baklava is not to be missed. First time at Bodrum and the food was delicious and the hospitality was very welcoming to our family. I feel that the food was more interesting than most similar places in Seattle. Give it a shot and you won’t be disappointed. Small portions, and pricey. If you live close by and you aren't super hungry, it would be a safe bet. Some of the food was excellent, some not as good (I've had better Mediterranean food that was also a better value). Main server was very nice but they weren't attentive to what we needed such as water, clearing plates, etc. Small gem of a restaurant in Wallingford. Delicious food and great service. The dumplings are outstanding. The room gets noisy. Was a nice experience. Definitely good food!... but a long wait... Even though we were the only ones at the time in the restaurant. (Maybe because made from scratch?) Long wait at end and didn't even ask us if we wanted dessert (possibly because they were bombarded with about five other tables at once.) Still it was a good place to go. Oops on the decaying flowers on the table.... Maybe change them a little more often.